What Is a Parallel Shift in the Yield Curve? 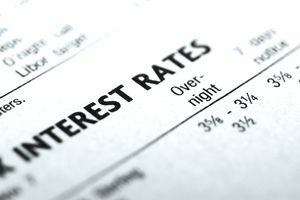 When you hear professional investors, economists, bankers, or other financial experts talk about the yield curve, they are referring to the relationship between short-term interest rates, intermediate interest rates, and long-term interest rates; relationships that underlie, directly or indirectly, everything from the price you pay to obtain a mortgage on a home to the price of a candy bar at the grocery store due to changes in the cost of capital for the firm that manufactured it. Under normal economic and market conditions, short-term interest rates are the lowest because there is less embedded inflation risk, while long-term interest rates are the highest. A so-called parallel shift in the yield curve happens when the interest rates on all fixed-income maturities—short-term, intermediate, and long-term—increase or decrease by the same number of basis points. For example, if 1-year, 5-year, 8-year, 10-year, 15-year, 20-year, and 30-year bonds all increased by 1.50 percent, or 150 basis points, over their previous level, this would be a parallel shift in the yield curve because the curve itself didn't change; rather, all data points on it moved to the right of the graph while maintaining its prior slope and shape. When the yield curve is upward sloping, which is the majority of the time, parallel shifts are the most common. Investors who have a lot of absolute or relative assets parked in marketable fixed-income securities, such as Treasury bonds, corporate bonds, and tax-free municipal bonds, have to deal with multiple types of risk that are unique from the three types of investment risks inherent to equities. Yield-curve risk, more commonly known as interest-rate risk, is the danger that shifts in the yield curve can cause bond prices to fluctuate substantially, can mean huge losses, or years spent in underwater positions, if not carefully managed. The latter can be fine in certain situations, such as an insurance company engaged in a technique known as asset/liability matching where bond maturities are arranged to line up with the timing of expected outflows. For others, it can spell disaster. This is especially true for hedge funds, exchange-traded funds, or private accounts that use leverage to juice fixed-income returns. For investors who buy bonds and hold them to maturity, shifts in the yield curve, parallel or otherwise, aren't really meaningful in any practical sense as they will have no effect on the ultimate cash flow, taxes and realized capital gains or losses experienced. For investors who might liquidate their positions prior to maturity, the best way to protect against major changes in interest rates is to reduce bond duration as the closer maturity dates act as a center of gravity, mitigating the volatility. The best way to enjoy a good probability of higher-weighted, risk-adjusted returns and fall into the first category is to use a technique called laddering. It's one of three general bond practices that can make a big difference in your overall risk profile because you end up constructing a collection of securities that enjoy a higher aggregate yield, with a lower duration, giving you the best of both worlds. It takes time to pull off but as part of a disciplined, intelligently structured portfolio, there is no substitute. At any given time, you have a maturity coming up so there's capital there if you need it. If not, you can throw it out to a distant maturity, capturing the (ordinarily) higher yields on longer-term holdings.